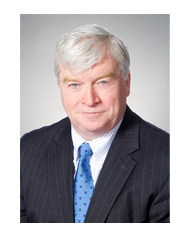 Jay Doherty began his career at Cabot, Cabot & Forbes in 1981 as a project manager and held a succession of staff and managerial positions, culminating in his promotion to president of the firm in 1998. Jay has served as Chairman of the Massachusetts chapter of the National Association of Industrial and Office Properties (NAIOP), the leading voice for commercial real estate in Massachusetts, and is currently a Chairman of the Transportation and Infrastructure Committee of The Massachusetts Business Roundtable (MBR). Jay graduated with an MBA from Harvard Business School in 1981 and with a BA from Middlebury College in 1975.